Brass has a wide-ranging library of music to make your event special. In addition to the music listed below, we are always adding to our library. If you don't see a piece below, we can often still provide it, given sufficient notice. Some extra charge may be involved. Note: You can click on some of the songs below to get a preview of how they sound (popups required). 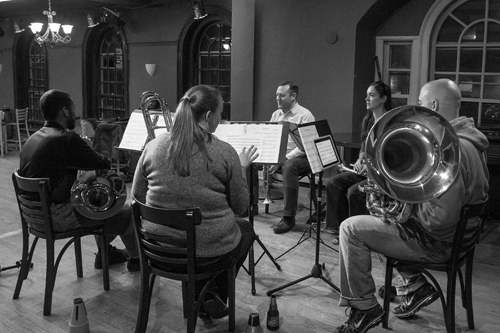 Brass is a quintet of professional musicians brought together by a love of virtuoso playing and the camaraderie generated by live performance. Join Brass on a journey of all your holiday favorites! © Brass, 2017. All rights reserved.